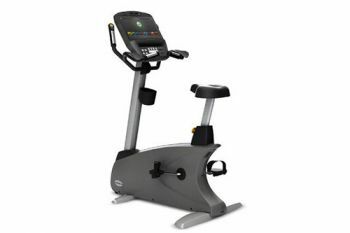 Tone your lower body with this state-of-the-art upright cycle that offers intuitive operation. With its 16" capacitive touchscreen with FitTouch technology, it adopts the technology behind all Matrix connected equipment, enabling you to track your workouts and access a personal training programme. You can also benefit from the Advanced Sprint 8 High Intensity Interval Training (HIIT) and the Virtual Active programming which provides an immersive exercise experience. This upright cycle also features race-inspired handles which provide a comfortable ride experience, intuitive one-hand adjustment to fine-tune the seat position and a step-through entry for easy access. The machine provides touch-free login and is also compatible with most smartphones and tablets for video, audio, charging and on-screen playlist selection and also has an optimised app interface that offers easy access to social media and web content.